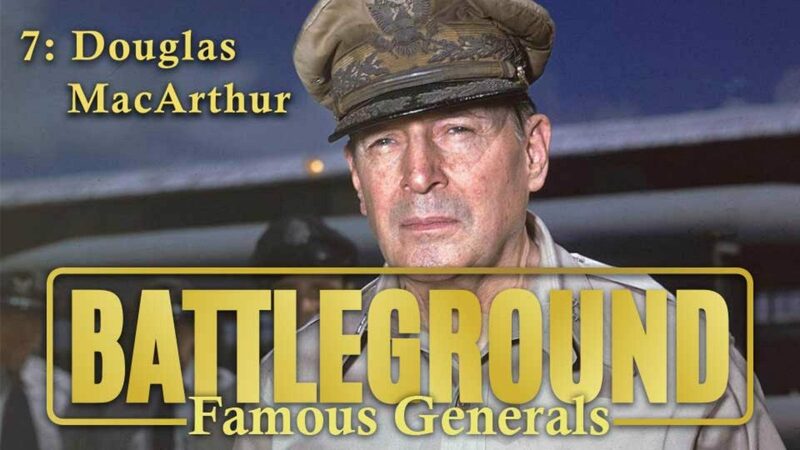 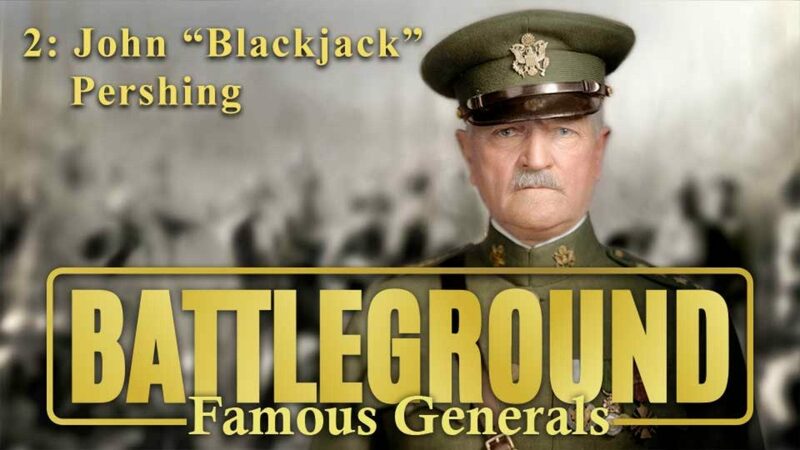 Battleground - Famous Generals takes a closer look at the WWII USA Generals who played a significant role in the Allied forces victory including Arnold, MacArthur, Eisenhower, Bradley, Pershing, Stilwell, Patton, and Marshall. 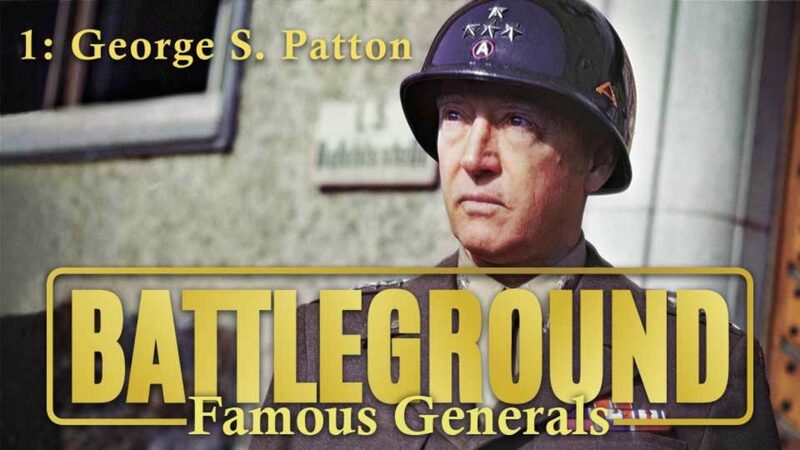 A look at the colorful Army General George S. Patton, with a focus on his World War II action in Africa and Europe. 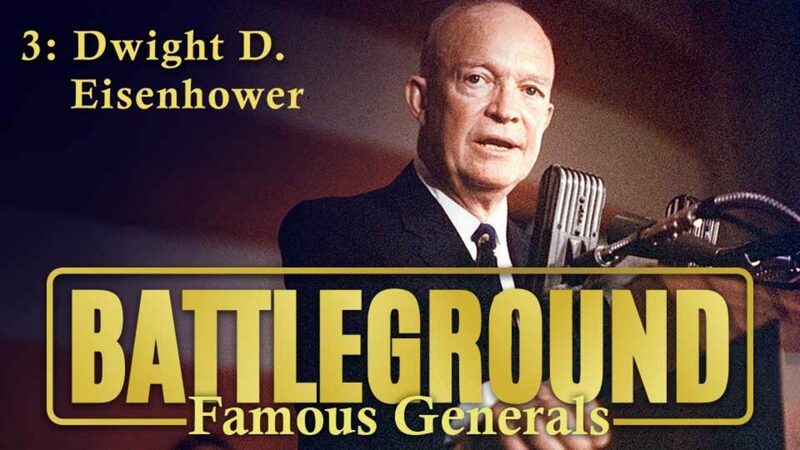 Army General Dwight D. Eisenhower's military career is traced from West Point to World War II. 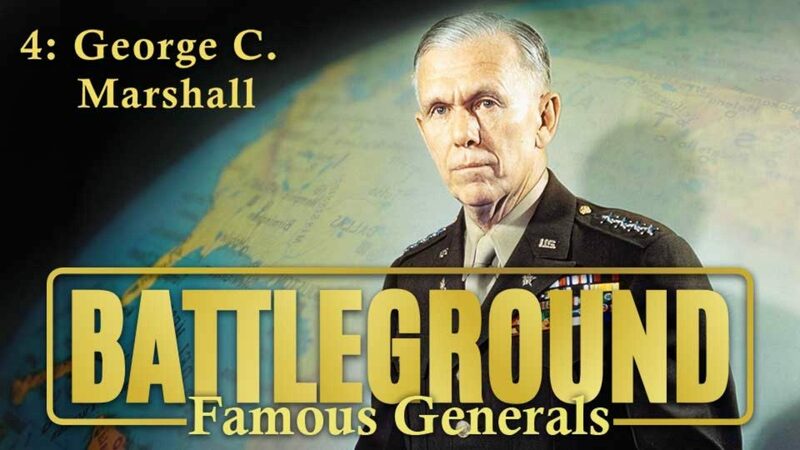 Follows the career of Army General George C. Marshall, including his post-military assignment as Secretary of State. 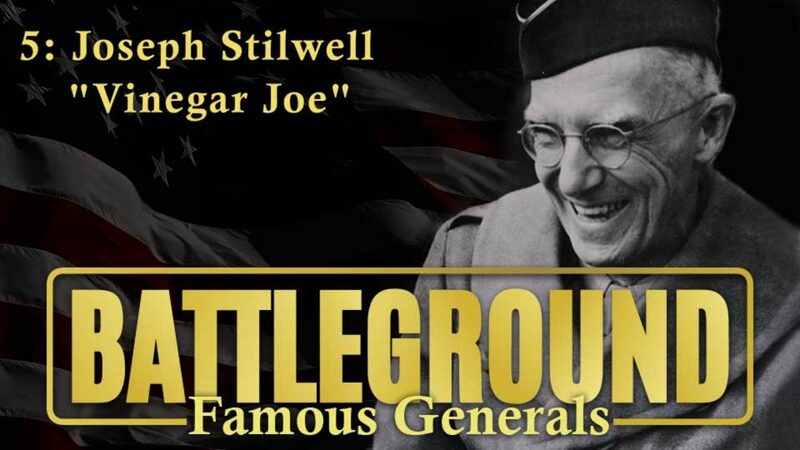 Follows the military career of Gen. "Vinegar Joe" Stilwell in the Far East during World War II. 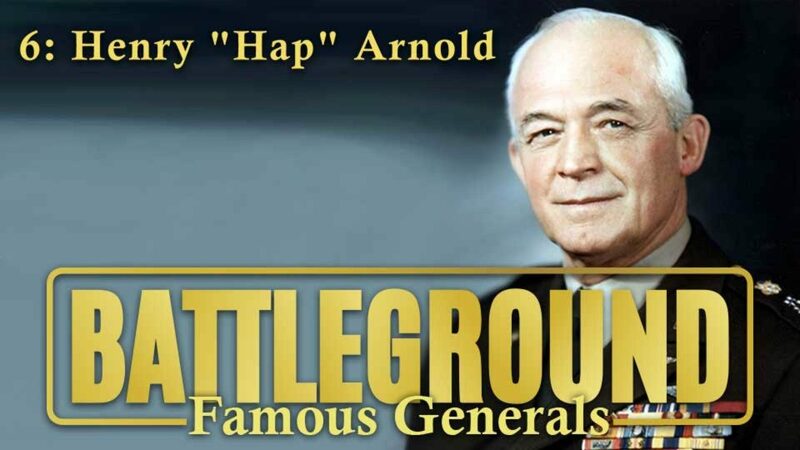 Highlights the career of Gen. Henry "Hap" Arnold during World War II, which is also the story of the growth of the Air Force. 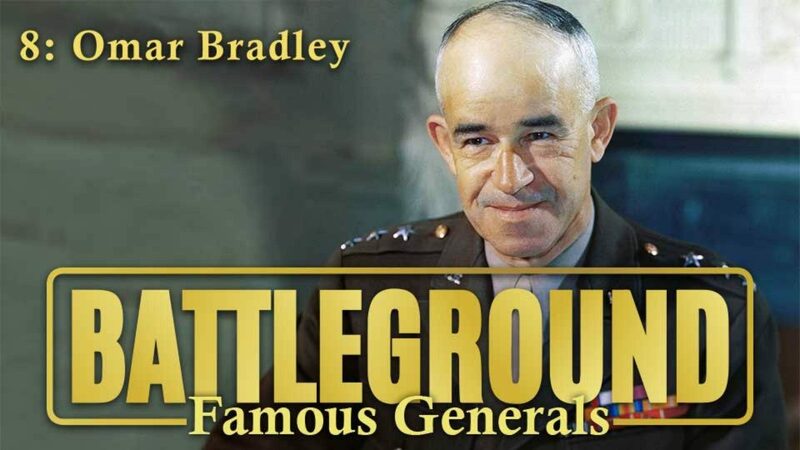 The story of Gen. Omar Bradley and his rise to the top rank in World War II.